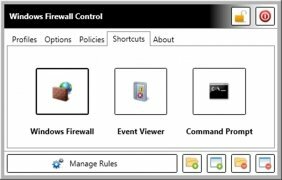 Windows Firewall is very useful when it comes to defending a computer against external interferences and avoiding information being sent out without the user approving it previously. 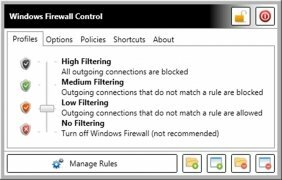 The only thing is that accessing the options that it offers isn't at all comfortable, that is why Windows Firewall Control has been designed. 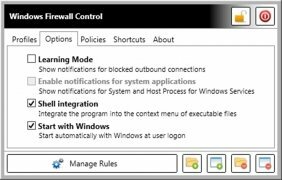 After being installed Windows Firewall Control is hosted in the system tray so that it offers the user a quick way to modify the security level of the firewall offered by the system. 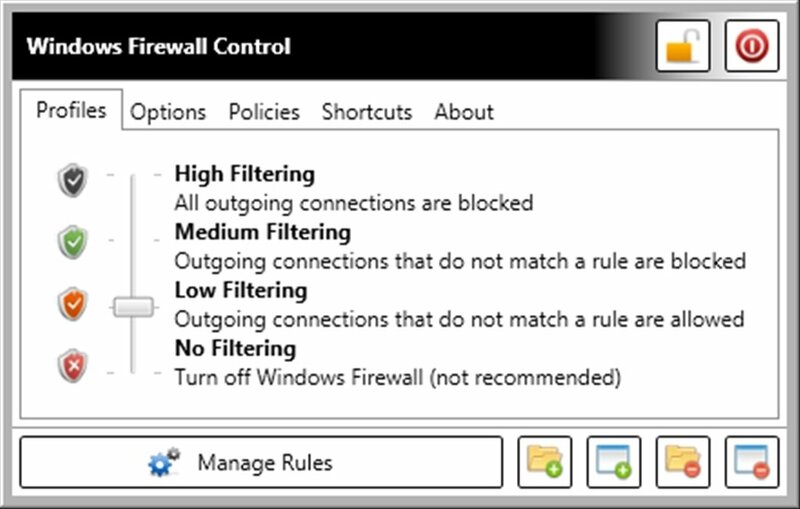 Furthermore, Windows Firewall Control also offers a direct link that allows you to modify all the entries of the firewall with a couple of clicks of the mouse, with the possibility to filter the results it offers to work only with the inbound or outbound entries. 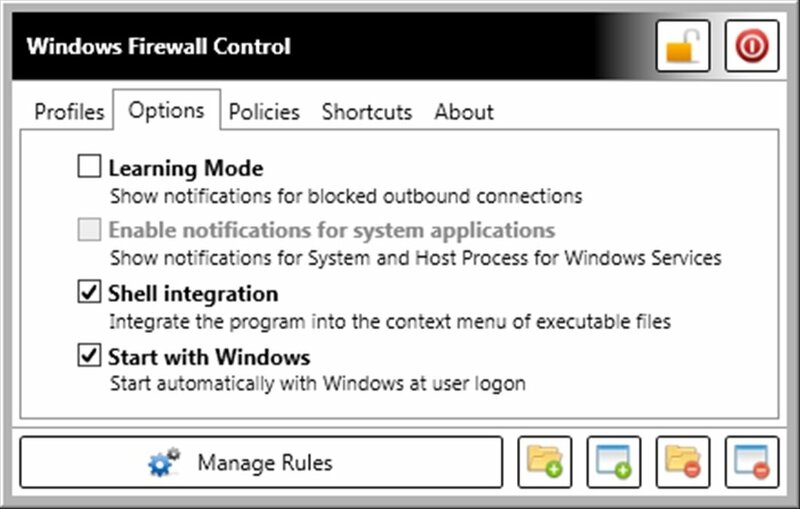 On the other hand, Windows Firewall Control allows you to export and import the configuration established on a computer so as to avoid having to complete the full configuration on each computer on which the user works. 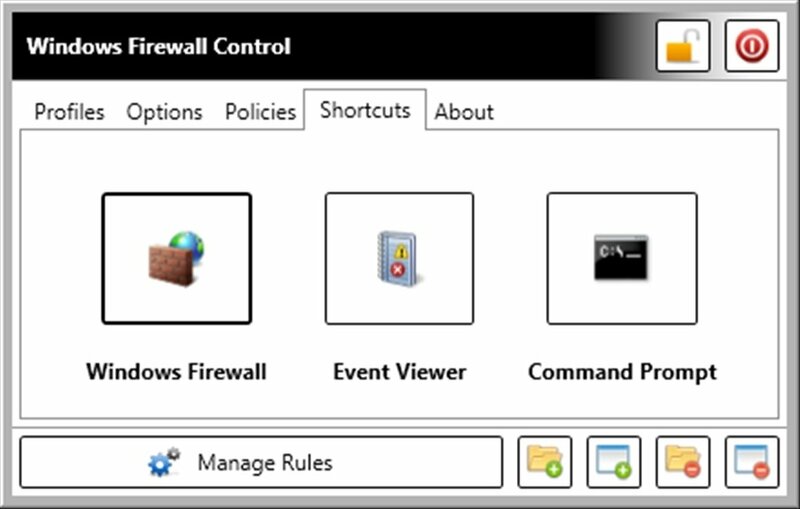 Download Windows Firewall Control to have quick and direct access to the system's firewall options. 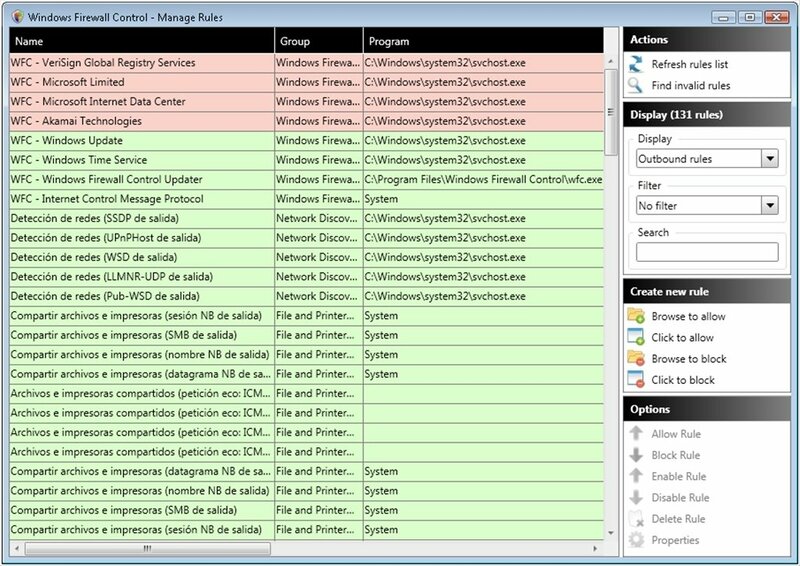 The trial version has certain programme options blocked.